To pursue my quest for the best information about cleantech and sustainability, I have recently added one social media to my collection. I am now gathering – and sharing information – via Tumblr. 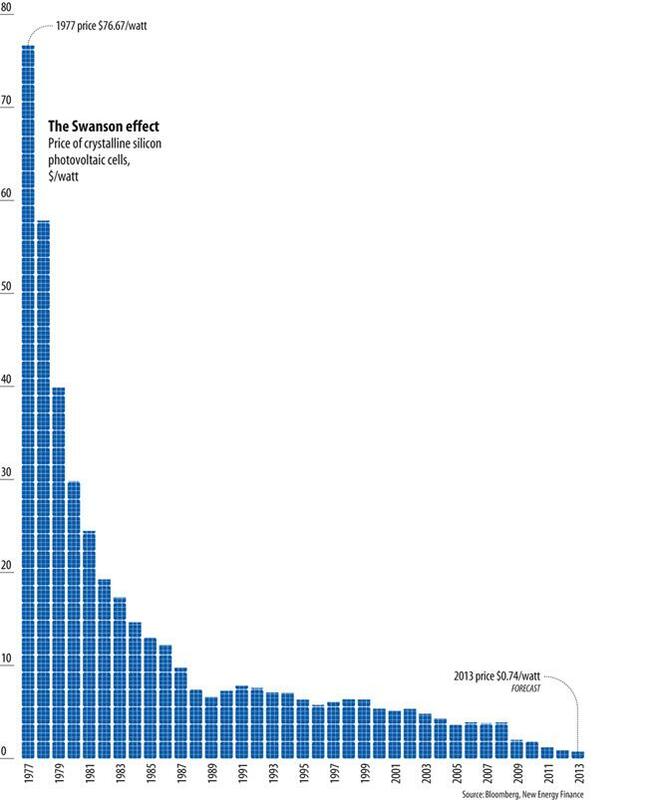 This allowed me last week to find great graph on how solar costs have been decreased, cut and slashed by a factor HUNDRED in the past 36 years from $76.67 per Watt in 1977 to $0.74 per Watt in 2013 (see image on the left). And if you were thinking these prices rebounding, you are in for a disappointment as they are due to halve by 2020. Meanwhile fossil fuels prices have only increased significantly and will just keep on doing so.